Superdry men’s Harlo Twist crew neck jumper. Cut in a flattering fit, this knit jumper features a classic crew neck design and a ribbed collar, cuffs and hem (for added comfort). 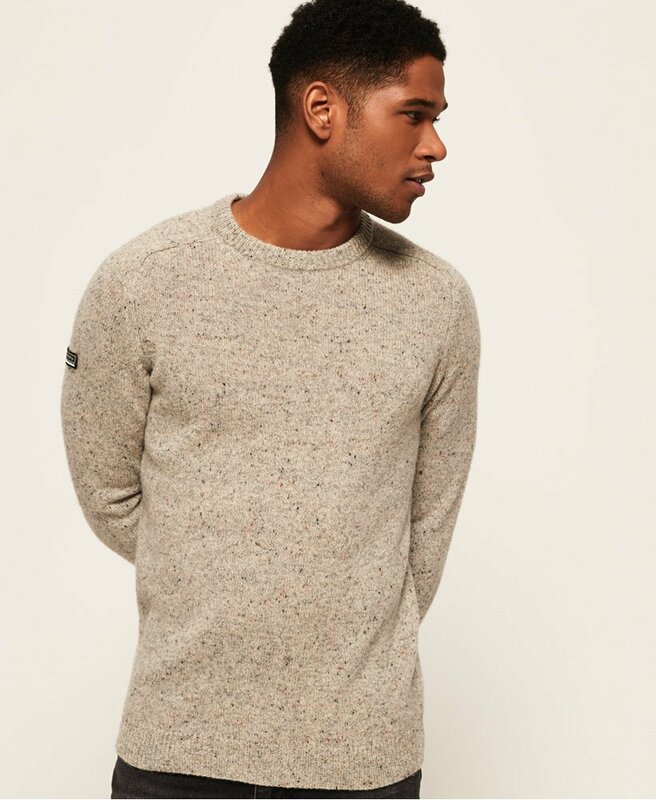 This versatile jumper is finished with a rubber Superdry International logo badge on the sleeve.